Every single knitter I know has a small hoard of single skeins just waiting for something awesome to happen. Recently I have launched a campaign to end the single skeins in my stash and make amazing things. 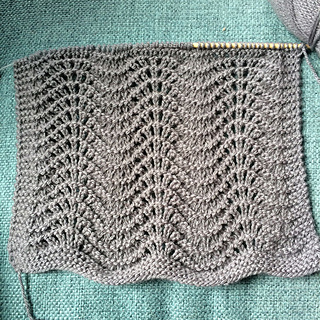 I love the simple yet elegant look of the fan and feather pattern (you will get so many compliments and those not-in-the-know will think you are a magician). 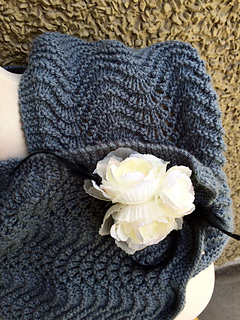 With a few adjustments, it makes an amazing scarflette. Quick and easy. 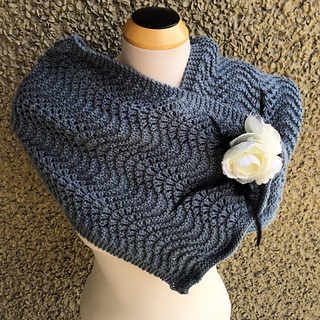 Thank you to Annie of Annie’s Arts and Follies for contributing this adorable free feather and fan scarf knitting pattern as part of the Melody’s Makings Guest Contributor Program!